As the saying goes, “You can’t take it with you.” And unless you’re planning on being buried with all your worldly possessions, someone is going to inherit the property you leave behind after you die. Inheritance is a legal issue that everyone faces, but few do anything about. While state intestacy laws serve to ensure that uniform inheritance laws apply to everyone who doesn’t make their choices known in advance, capable adults can and should choose what kinds of inheritances they want to leave behind with proper estate planning. Thinking about your own mortality is not a pleasant experience and can make anyone uncomfortable, which is why too many people never take concrete steps to plan for the repercussions of their passing. Understanding what intestacy laws do and how they work is important for each and every one of us. People who own property get to choose how they want to leave that property as inheritances after they die. Whether they own real estate, investments, collectibles, furniture, cash, or anything else, the property owner can, with some restrictions, choose how to distribute that property. The right to make inheritance decisions does come with caveats. As a general rule, property owners are under no legal obligation to leave inheritances to anyone, including family members or even children. If you own something, you can choose who inherits it after you die. The main exception to this general principle is that, if you die while married, your surviving spouse is almost always entitled to receive an inheritance from you after your death. This means that even if you create an inheritance plan that leaves nothing to your spouse, your spouse can still take a portion of your estate as an inheritance. The size of this spousal share differs from state to state, and a surviving spouse can refuse to take it, but it is not something you can unilaterally do away with. In short, once you get married, you and you spouse earn the right to inherit from one another. Beyond that, the other key restriction on inheritance choices concerns methods. Namely, the law requires that property owners have to make their inheritance decisions known in specific, and legally recognized, ways. While there are a variety of legal tools available to people who want to make inheritances choices, such as a last will and testament, only choices made through those specific, recognized tools can be enforced by a court. Unfortunately, most do not make their inheritance choices known through legally recognized methods. According to the American Bar Association, the majority of Americans do not have a last will and testament or an estate plan. While people without a will or estate plan may have specific desires about what they want to happen to their property after death, there is no way for a court to legally enforce those wishes. What happens when people die without leaving behind a will or inheritance plan? What if they had specific inheritance wishes? What if they made their wishes known, but didn’t write them down? What if they wrote down their wishes, but not in a will? What if they told their wishes to others, but there is a disagreement about what was said? The answers to all of these questions come from intestacy laws. Intestacy laws serve as a kind of safety net, catching all of the estates left behind by deceased people who are not governed by a legally enforceable inheritance or estate planning document. The safety net applies to everyone equally, and provides the same kind of framework when determining inheritance outcomes for intestate estates. Otherwise, whenever someone died without leaving behind a last will and testament, courts would have to go through a laborious process of determining what that person wanted and how to apply those wishes to each individual case. When someone dies without leaving behind a will, that person is said to have died intestate, and to have left behind an intestate estate. Intestacy laws control what happens to intestate estates, and effectively give preexisting inheritance choices that apply to everyone. 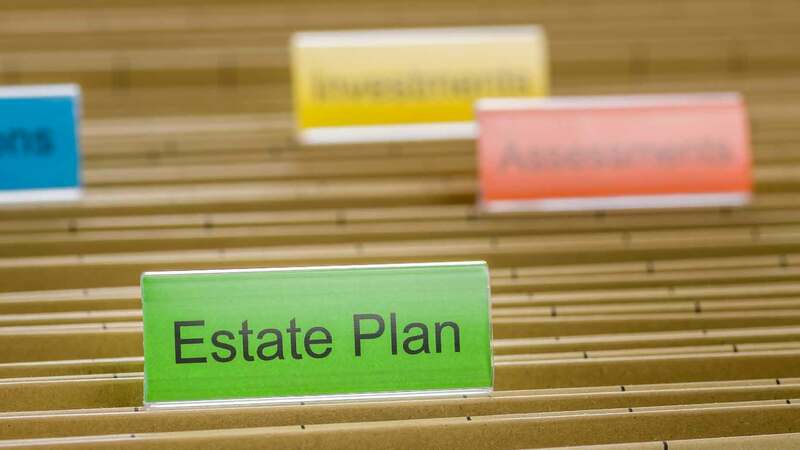 Unless someone takes the step of creating an inheritance plan of some kind, such as by leaving a will, the default inheritance decisions created by state intestate succession laws apply to the property – the estate – left behind. As with many aspects of law, intestate succession laws differ significantly from state to state. In general, these laws establish a hierarchy of people who stand to inherit property from estates left behind by people who don’t have a will based on the relationship the survivors had to the decedent (the person who died). In other words, intestacy laws say that the people most closely related to the decedent inherit that person’s property. Spouses. When someone dies leaving behind a spouse and no last will and testament, that spouse inherits at least a portion of the estate. In cases where the decedent left behind no children and only a surviving spouse, the spouse typically inherits the entire estate, regardless of any other surviving relatives. Children. If the decedent left behind descendants (children, grandchildren, etc. ), those descendants typically receive at least a portion of the estate. For example, if a father dies leaving behind three adult children and no spouse, the adult children each receive an equal portion of the estate. On the other hand, if there are both children and a surviving spouse, the spouse inherits a portion of the estate and the surviving children split the rest. Parents and Siblings. When someone dies leaving behind neither a spouse nor descendants, the next in line to inherit property are the decedent’s parents. If the parents are not alive, the decedent’s siblings inherit. For example, if a young adult dies leaving behind two surviving parents and two surviving siblings, the parents each receive an equal portion of the estate, while the surviving siblings do not receive anything. On the other hand, if a young adult dies leaving behind two siblings and no surviving parents, the two siblings each receive an equal portion of the intestate estate. More Distant Relatives. In situations where someone dies leaving behind no close relatives, spouses, or descendants, more distant relatives inherit the intestate estate based on their closeness of relation to the decedent. These can include grandparents, cousins, aunts or uncles, or even more distant relations. Escheat. In situations where someone dies and leaves behind no known or otherwise identifiable surviving relatives, the state in which the decedent lives, or in which the property is located, becomes the legal inheritor of the estate. This is known as escheat, and though it is rare, it serves as the final safety net when people die without a will. When estate property gets divided between descendants, state laws use either a “per stirpes” or “per capita” distribution method. Per stirpes and per capita distributions apply when there are multiple generations of descendants, and when some of the descendants have died prior to the decedent. In the most common of situations, per stirpes and per capita rules determine if grandchildren receive inheritance from a deceased grandparent when the grandchild’s parent has already died. For example, let’s say a grandfather dies leaving behind three children. Each of those children has two children of their own, so the grandfather has six grandchildren. What happens if one of the grandfather’s children dies before he does? Do the children of the child who died – the grandfather’s grandchildren – receive an inheritance, or is the intestate estate only distributed between the surviving children? The answer to this question depends on whether the grandfather lived in a per stirpes or per capita state. In a per capita state, the estate is only distributed to the surviving children. So, because the grandfather left behind two surviving children, each of those receive half of the grandfather’s estate, and the grandchildren do not receive anything. On the other hand, if the grandfather lived in a per stirpes state, the intestate estate is distributed equally between equal members of the first generation of descendants, surviving or not. So, the two surviving children each receive one-third of the intestate estate, with the remaining third that would have gone to the deceased child being distributed to that child’s two children (the grandfather’s grandchildren), meaning those two grandchildren each receive a one-sixth portion of the estate. For purposes of intestate succession, adopted children are treated the same as biological children. So, if a mother dies leaving behind one child she gave birth to and one child she adopted, both children are considered equal descendants. However, stepchildren are not treated the same way that descendants are when their stepparent dies without a will. Intestacy laws do not give stepchildren any inheritance rights. So, for example, if a father leaves behind two children and two stepchildren, his children are entitled to receive a portion of the estate, but the two stepchildren receive nothing. In situations where someone dies intestate and has a romantic partner, the romantic partner is not entitled to receive an inheritance. 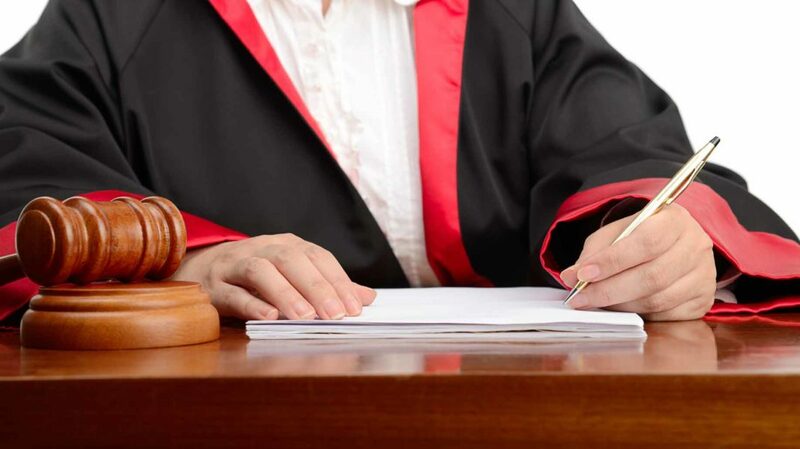 Intestacy laws make no distinction between a romantic, but unmarried, partner and anyone else who is not related to the decedent, and couples who are living in romantic relationships do not have the same inheritance rights under intestacy laws that spouses have. So, when an unmarried partner dies intestate, the surviving non-married partner does not inherit any portion of the estate. Sometimes the question of whether a romantic couple is married under common law becomes an issue in intestate inheritance cases. Common-law marriages are one of the most widely misunderstood legal topics around, and many people who might think or suspect they are married under common law are probably not. For example, many people believe that cohabitating for a period longer than seven to nine years automatically makes a couple married by common law. This is not the case. A common-law marriage is one that takes effect even though the couple may never go through a formal marriage ceremony, or never receives a marriage license. Common-law marriages are legally recognized and enforceable marriages, so couples married in this way are legally married just like any other couple. However, couples can only become married through common law if they live in one of the small number of states that allow for it, and only if they meet specific legal standards. According to the National Conference of State Legislatures, eight states – Colorado, Iowa, Kansas, Montana, New Hampshire, South Carolina, Texas, and Utah – currently allow some form of common-law marriage. The legal requirements for common-law marriages differ somewhat, but essentially require that each party be old enough to be married, intend to enter into a marriage, and hold themselves out to the public as a married couple. Once married through common law, both spouses earn the same intestate inheritance rights that apply to all married couples. Most people die leaving behind both assets and debts. However, unlike assets, individually owned debts are not usually transferred as inheritances in the same way that individually owned property is. For example, should your grandfather die and leave you a home with a mortgage, you would not inherit the debt or become obligated to repay the mortgage. Many people in this situation simply choose to sell the home and take what is left after the mortgage and any other obligations attached to the property are repaid. In other situations, you might choose to live in the home and take over responsibility for paying the mortgage, property taxes, and any other expenses associated with it. A federal law allows inheritors to take over loans on property they receive, and prevents mortgage companies from forcing a sale of the property because of the transfer or denying you the ability to take over the loan even if you lack creditworthiness. Intestate estates leave behind more than just property. Along with inheritance questions, state laws also address a host of other issues left behind by people who die intestate. Intestacy laws answer questions about estate management, guardianships, and more. One important aspect of intestate succession (the process of taking the property left behind and making those entitled to it receive their inheritances) is the question of who receives the legal responsibility, and authority, to manage the estate. The estate settlement process can take months, and sometimes years, to finalize. Not only that, but a court (usually called a probate court) must oversee the settlement process to make sure all rules and laws are followed, though the court itself is not responsible for managing the details. 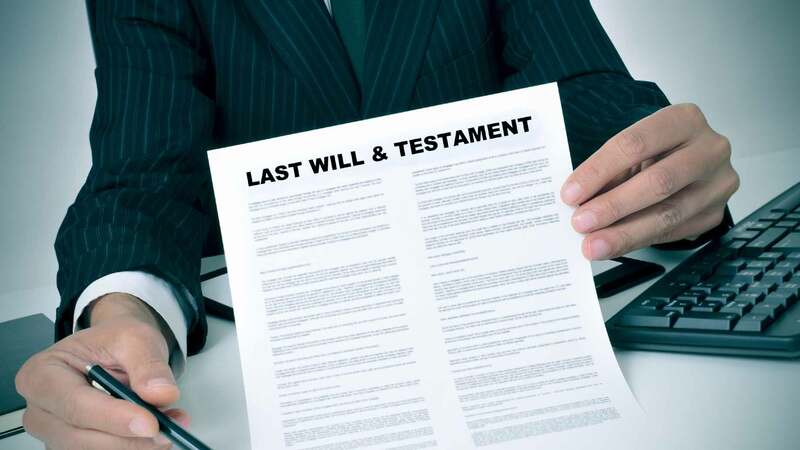 In situations where an estate is governed by the terms of a last will and testament, the person who made the will, known as a testator, typically chooses someone to manage the estate through the settlement process. This person is known as an executor, personal representative, or estate administrator. For example, the father of three young children might create a last will and testament in which he names his brother as the estate executor. If the father dies, the brother has the responsibility of making sure that the wishes expressed in the last will and testament are carried out. The same is not true with an intestate estate. With an intestate estate there is no document that states who the decedent wanted to serve as the estate executor. So, intestacy laws allow a probate court to appoint an estate administrator on its own. What happens to young children when their parents die intestate? In general, when parents die intestate they do not leave behind clear instructions on who they want to become the guardians of their children. However, in situations where there is no capable or willing family member to take on guardianship responsibilities, the court might place the children in the state foster care system, or otherwise determine that they should be cared for as wards of the state. Another important issue surrounding dependents or young children who are too young to manage inheritances on their own is the question of trust management. If someone dies intestate and leaves an inheritance to young children, those children cannot legally manage that property on their own. Instead, someone else must step in and begin managing the property on behalf of the children until they’re old enough. As with a guardian, the court appoints someone to manage the property on behalf of the children. Anyone who wants to make inheritance decisions, or who does not want the decisions made by state intestacy laws to apply to them, must create inheritance planning tools of their own, such as a will or various kinds of trusts. Intestacy laws serve as legal safety nets that catch all of the cases of people who die without leaving behind inheritance or estate planning tools. Each type of estate planning tool has abilities and limitations, and a comprehensive estate plan addresses far more issues than inheritance questions alone. Yet regardless of the specific tool anyone chooses to use to make inheritance decisions, each tool has to meet specific requirements. For example, if someone wants to make a last will and testament and use that document to make inheritance wishes, choose an executor, and name guardians for their young children, the document they create has to meet state-specific requirements. These requirements differ slightly by state, but include, for example, that wills must be made in writing, must be signed by the will maker, and must be signed by two competent witnesses. People cannot simply create any document, call it their will, and expect a court to honor their decisions. In other words, while avoiding intestacy is often easy to do, it is up to individuals to choose to do it on their own. Further, each person must create inheritance or estate planning tools that comply with any relevant laws, or their wishes will not be respected and intestacy laws will determine what happens to their estates. While there are a variety of inheritance tools available, some are more commonly used than others. Last Will and Testament. A last will and testament, commonly called a will, is a document in which people state their inheritance choices. Anyone who is at least 18 years old and who is of sound mind can make a will at any time, though the document must comply with all relevant state laws to be valid. Living Trust. A living trust is a commonly used form of trust that allows you to make your inheritance decisions outside of the probate process. Once you create a trust and transfer property into it, the trust becomes the new owner of that property. After you die, the trust continues to exist and distribute the property it owns in the manner you decided when you created it. Because the trust still owns the property, that property does not go through the probate process, but transfers privately in accordance with the inheritance choices you made. Transfer-on-Death Assets. 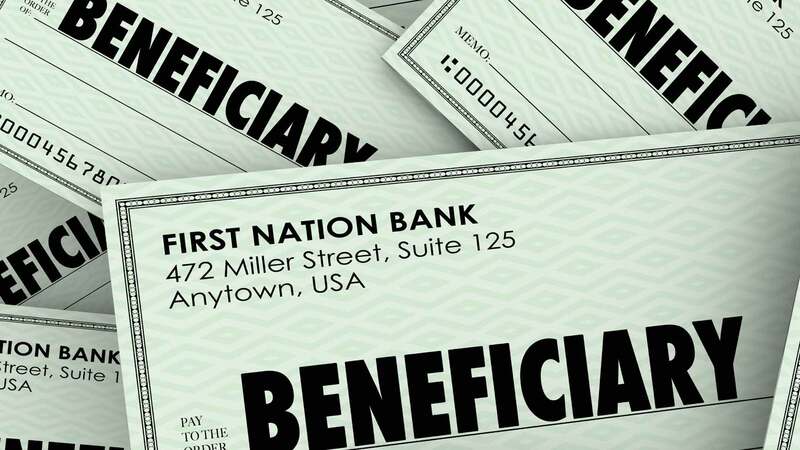 Some assets, such as some bank accounts, allow you to choose a beneficiary who inherits that asset upon your death. For example, if you have a savings account that allows you to name a transfer-on-death beneficiary, the person you choose inherits your account when you die. Intestacy is one of those legal issues that are always present, yet rarely spoken about. Anytime people think about death, mortality, and existence, legal questions are not typically at the forefront of their concerns. Nevertheless, understanding intestacy and how it affects you and your family if you don’t do anything about it is essential, regardless of personal or financial circumstances. Have you been affected by someone who has died and left behind an intestate estate?